So I know it's been ages, and I plan on recommitting myself to this little 'dog n' pony show' any day now, but I am STRUGGLIN' this year to stay on top of my many hobbies, jobs, and obsessions (not necessarily in that order). For starters I've been seriously considering opening an Etsy shop. We'll see about that one. The goal of this post it to update you on all my happenings that are worth sharing. Here's one Camille at An Open Door might like. She recently gave me a shout out on her blog post about how she had been "flamingoed" by the girl scouts. 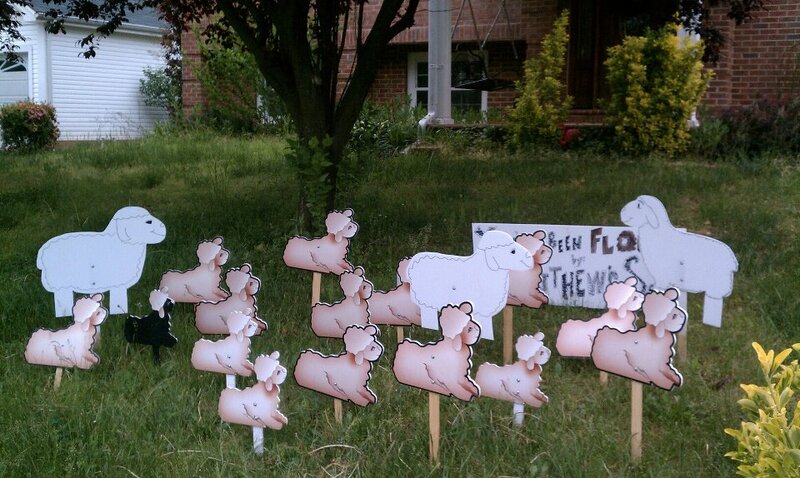 My church youth group is raising money to go on a trip this summer and someone paid to have my yard "flocked." I have my suspicions as to who it was... Anyway it was super embarassing because I hadn't mowed my lawn in about 3 weeks because I was lazy otherwise engaged. 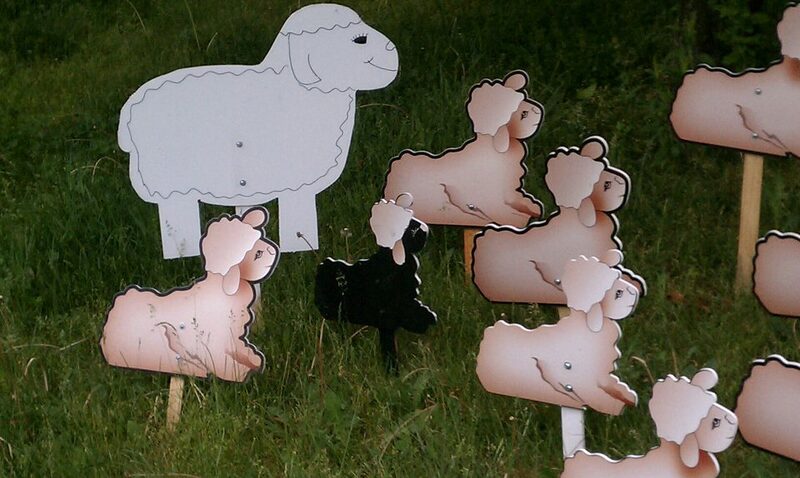 The next day I mowed a circle around the flock cause I'm classy like that. The male would pick out some seeds and then feed them to his bride. 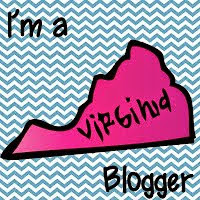 I was nominated for Most Fascinating Blog of 2012!!! When I started this little endevour last summer my highest hope for this blog was that the tens of people who read it said something to the effect of, "eh, she's not the MOST annoying person on the web." Thank you so much to those who inspired me to share my classroom wows and woes, and to those who encourage me to continue. Look out for the "Vote for Me" button on the sidebar coming soon! If you've made it this far then I think you deserve a little teaser of what's to come in the near future... It rhymes with 'Shmiveaway' and has something to do with something rhyming with 'shmoes'. Check this out if you need more scaffolding in deciphering my mysteriousity.